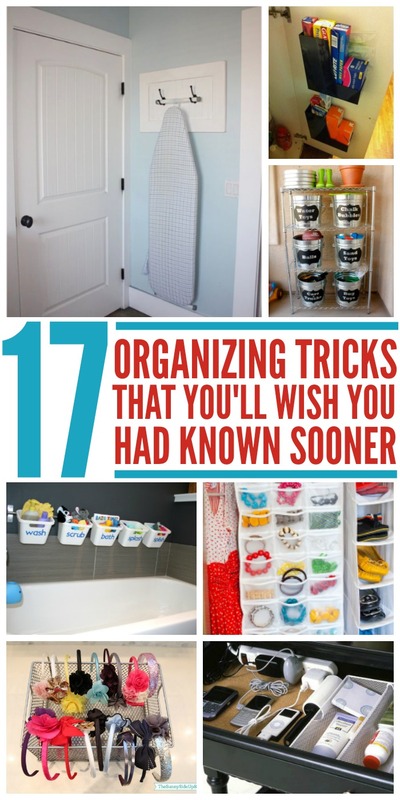 While it’s easy to organize the big things in your home, it’s often the little things that take over. Papers and devices cluttering up the counter… toys strewn across the yard… or all that jewelry that needs to be organized. We’ve found 17 solutions that you’ll wish you found sooner. So tidy up those spaces for a cleaner, clutter-free home! 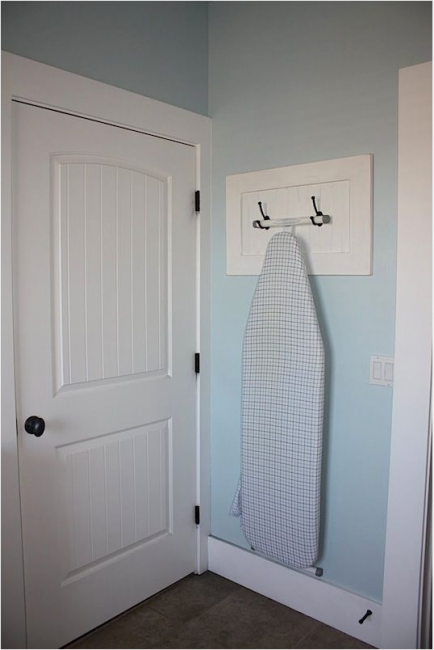 Install robe hooks behind a door to hang your ironing board when it’s not in use. 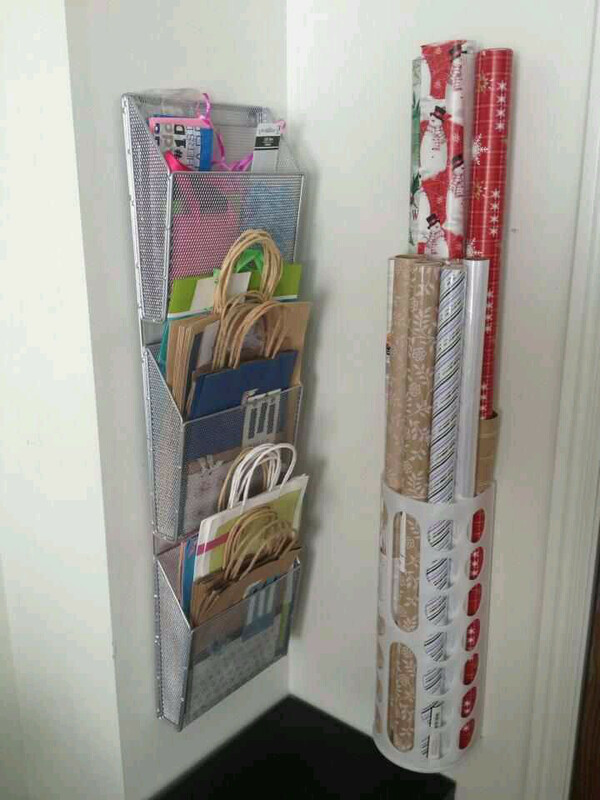 A file organizer and a grocery bag holder are all you need to keep your gift wrap and gift bags organized. 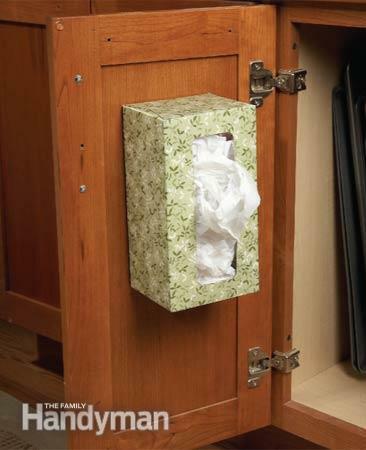 Attach an empty tissue box to the inside of your cabinet to store rags or plastic grocery bags for reuse. 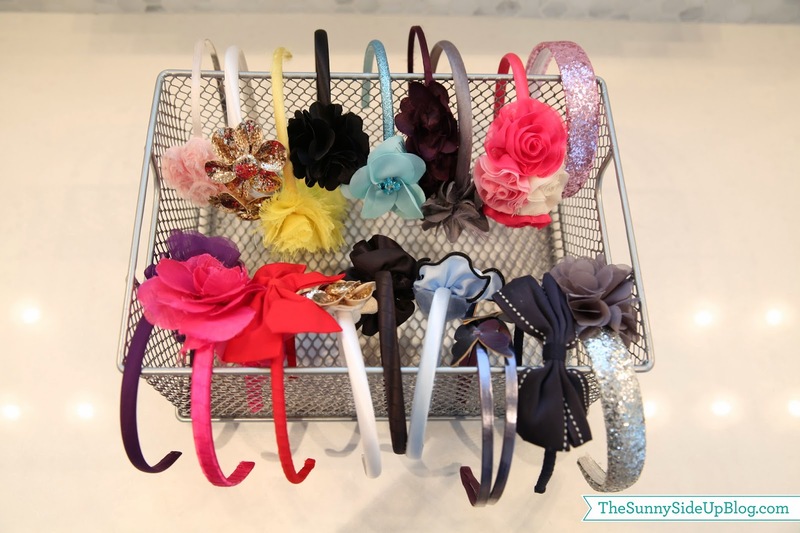 Have a little one who’s obsessed with headbands? A basket is the perfect storage solution. Just hang them on all sides of the basket to see your selection at a glance. Can’t find the perfect tray for your drawer? 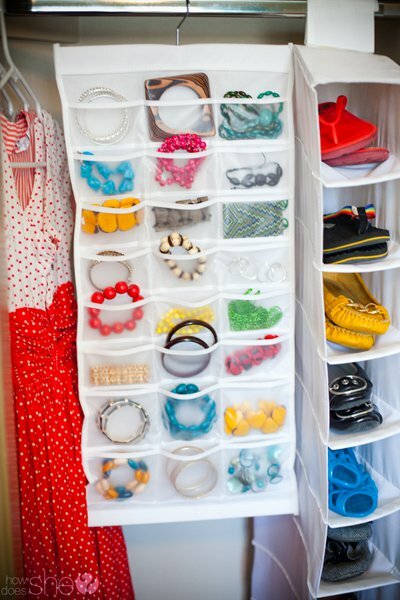 Create custom drawer organizers from cereal and cracker boxes. Make them pretty with contact paper or scrapbook paper. You know all those things in your home that need to go places? You have items you need to donate, books to return to the library, gifts that need to be delivered… and yet you run out the door and forget them every time. Never again… not with an organization system like this! I don’t know about you, but our son has mountains of outdoor toys. 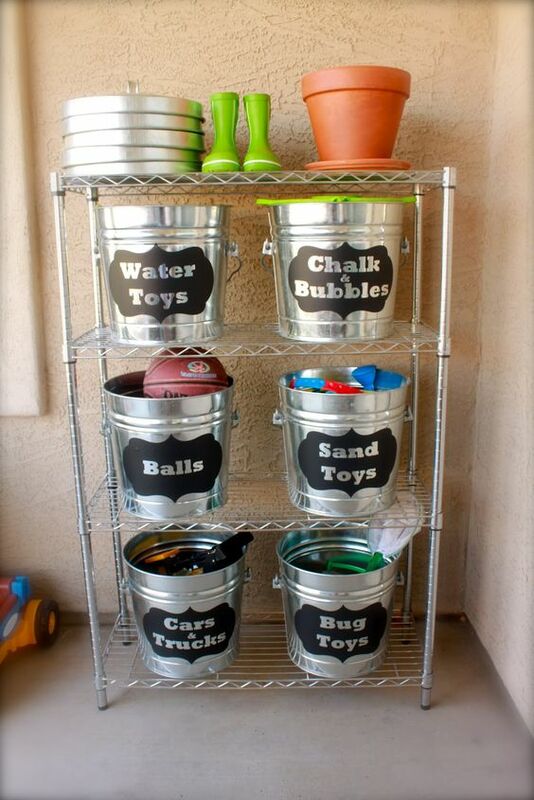 A system for outdoor toys like this can help you organize them all but still keep them within easy reach for the little ones. Never trip over another rubber ducky or bath crayon again with this bath toy storage system. I seriously need this! 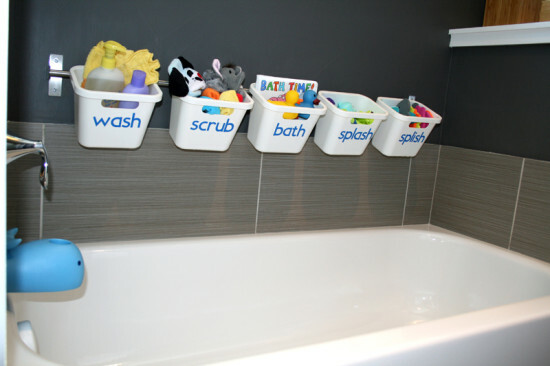 And here are even more bath toy storage ideas if you need inspiration. Okay, so you can’t keep every paper your kid brings home from school, but you do want to hang on to some special ones. Where to put them, though? 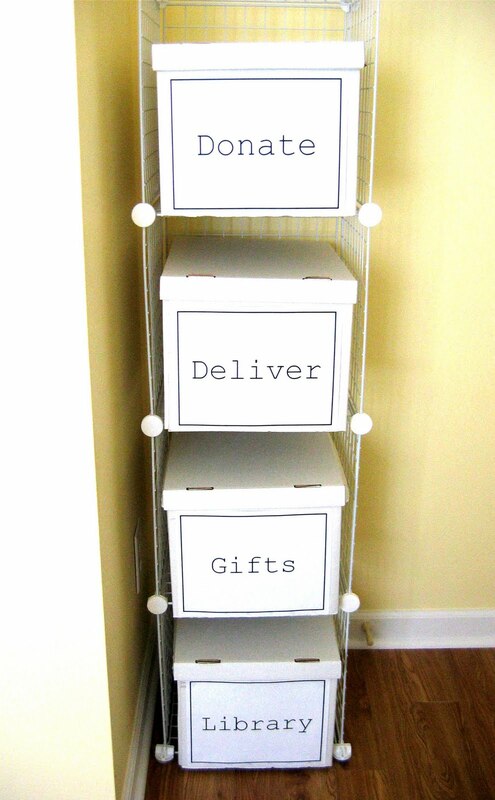 Try a paper storage system like this. Each child gets his or her own box with file folders for each year. 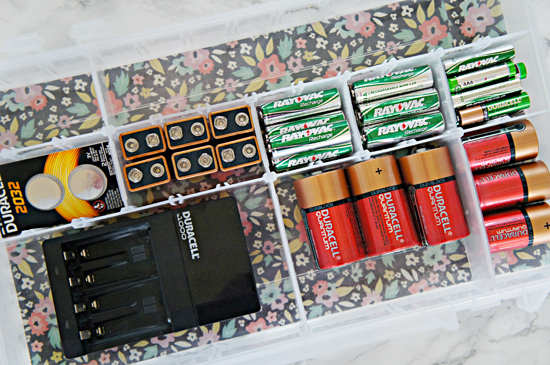 Sort batteries by type in a practical utility box that you can store in your garage or basement. Label the sections so that you’ll know exactly what you need when you run out of something. This is so much better than my system (throwing them all into a junk drawer). 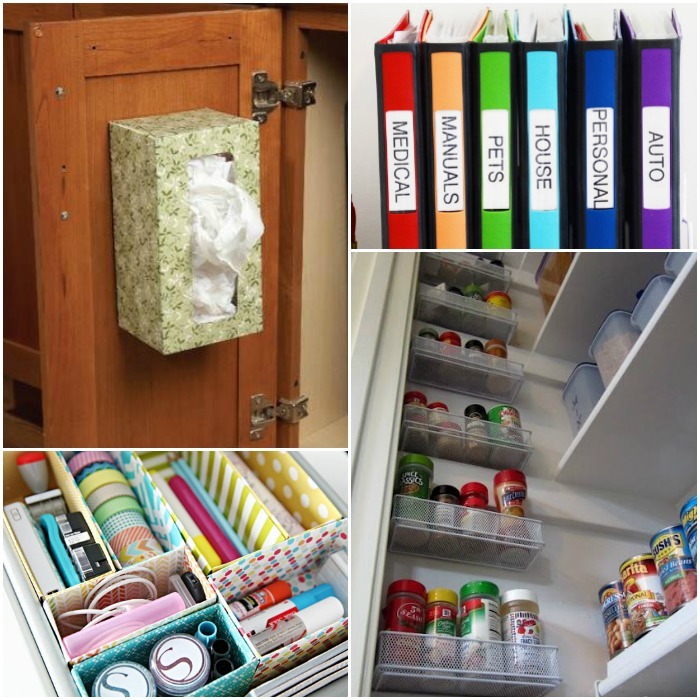 Add magazine files inside your kitchen cabinets to store plastic wrap, foil, baggies, etc. Isn’t it great being able to free up drawer space like that? 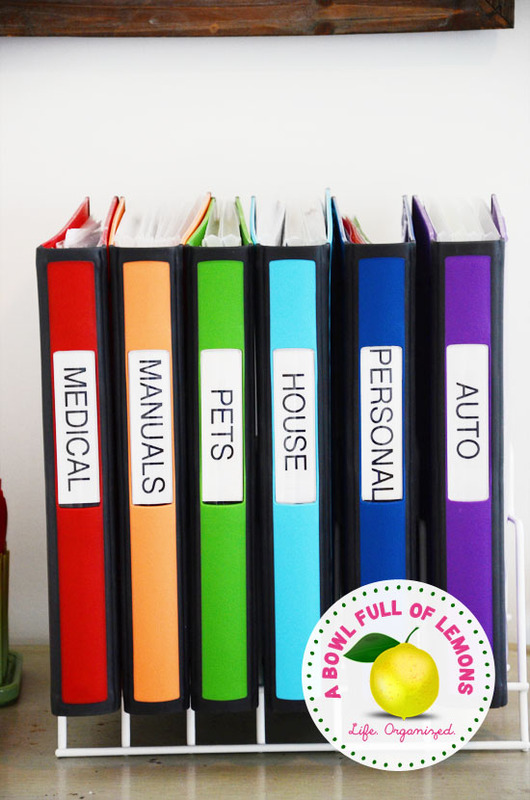 If home binders are your thing and you have several, this binder setup is worth taking a look at. 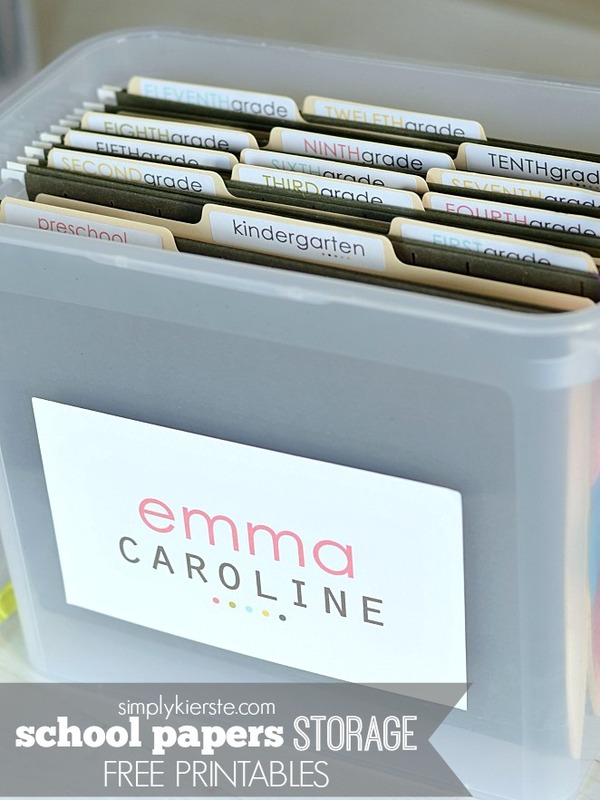 The binders fit neatly into a baking sheet organizer! 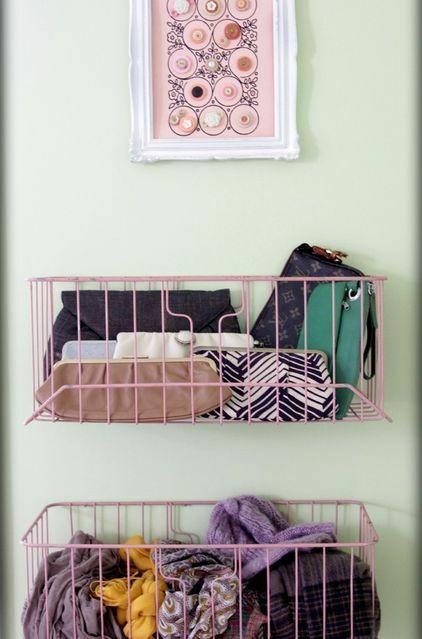 A hanging jewelry organizer is a real life saver if you have lots of pieces to choose from. Plus, this one is double sided, so you can see everything you own at a glance! These wire baskets are meant for manila folders (recognize them from your doctor’s office, perhaps? ), but they make great catchalls for clutches, scarves and tights. Screw them to the back of your closet door or do the inner wall of your closet. Create a command center that can go with you anywhere! 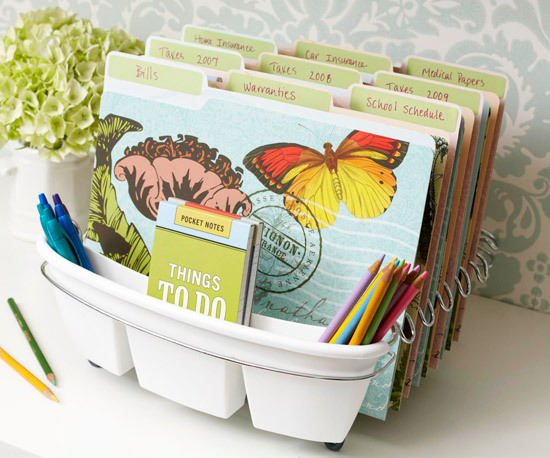 This filing system is made from a dish drainer and pretty file folders. Pens and pencils are stored in the utensil slots. So smart! Who needs a spice rack? 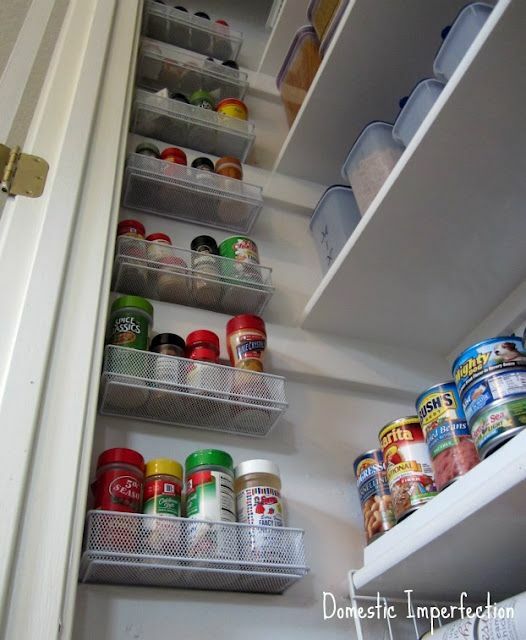 Use pencil drawer organizers inside your pantry for easy spice storage. 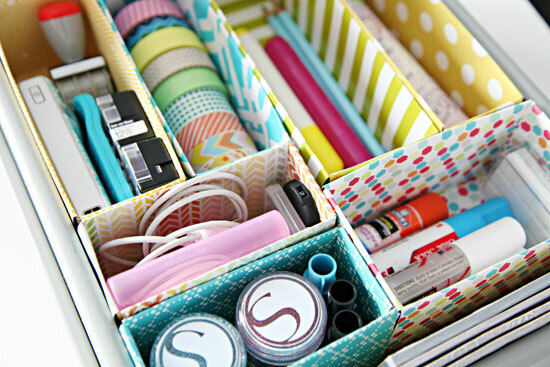 A organizing tips & tricks – create a charging drawer… Why didn’t I think of that? Mount a power strip inside a drawer, and use that space to charge all your devices. You’ll avoid that counter clutter caused by cords strung out everywhere!